Brow Bar will be added to studio! In the next few months, we will be adding a brow/facial waxing only section to our studio! This means that last minute facial waxing appointments will be much easier to book and that we will be able to accommodate more walk-ins. Having only one esthetician makes it hard to accommodate last minute appointments. La Tira’s Brow Bar is our solution for those who prefer walk-in/day-of appointments. 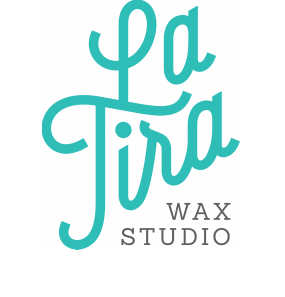 New estheticians will be joining La Tira Wax Studio! As the studio gets bigger, more estheticians will be joining the team to accommodate our growing clientele. Bringing on more estheticians will allow us to serve more people and on shorter notice. If you'd like to request a specific esthetician, please request that person online or over the phone when you book your appointment to ensure that you will be booked with who you prefer. All of the studio's estheticians will be providing the highest quality services and will adhere to the highest standards of cleanliness. Credit card now required to reserve appointments. We will be enforcing a cancellation policy at our new location, requiring a credit card number to reserve appointments. We apologize for any inconvenience this may cause, but please understand this is to protect our estheticians from no-show appointments and appointments that are cancelled last minute. The online booking system will require that you enter a credit card when trying to book an appointment. We suggest creating an account if you have not done so already, so that you do not have to enter this information every time you wish to book an appointment. To see our cancellation/no-show policy, click here.